The American Cancer Society has sanctioned massage therapy. They believe that this form of therapy will help to give comfort to cancer patients. The thought in the past was that massage therapy was not a good thing for cancer patients. The American Cancer Society believed that massage therapy circulated the blood too much, and that it affected the lymph nodes. Blood and the lymph nodes are avenues that cancer will usually take, so they thought that massage made your cancer worse. These beliefs are a myth, and massage therapy is prevalent in the care of cancer patients today. 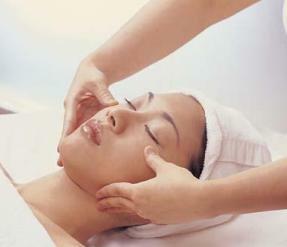 If you are a patient who suffers from cancer, then you will benefit greatly from massage therapy. You may be taking various cancer treatments that include cancer chemotherapy and radiation. These treatments are probably making you feel sick at your stomach, along with headaches. This therapy will help you relax if you have cancer. It will take away some of the stress you have from having the disease. Having cancer is an emotional time in your life and massage therapy will help you to be able to handle your emotional fatigue. Cancer patients need massage therapy a lot more than someone who does not have the disease. A personal touch can go a long way when you are very ill. Although massage therapy has many different benefits, there is a downside to getting a massage when you have cancer. Getting a deep massage if you have bone cancer is not a good idea. This type of massage can cause broken bones in the areas that you have cancer. If you are someone that bleeds easily then you should not get a massage. You do not want to get lymph edema if you are a patient who has had your lymph nodes removed. Sometimes this can happen if you get massage therapy on the lymph node surgery area. The best thing for you to do is to consult a physician about when you can have massage therapy. Before you get massage therapy it is critical that you make sure that the person doing your massage is fully licensed. A certified oncology massage therapist is the only therapist that you should go to for care. Some therapists do not have the right training in the many massage styles and proper techniques of massage. This lack of training could harm you. 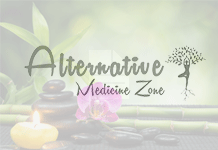 If you go to a massage therapist that is unskilled, it could cause you to develop certain conditions and in more severe cases, it can even lead to death. Debate about massage therapy has been going on for several years. It is a personal choice but you really need to consult your health care provider before starting any kind of therapy. You will usually find that the benefits of massage therapy, do out way any of the risks involved. This is especially true if you are very careful and informed about your treatment.